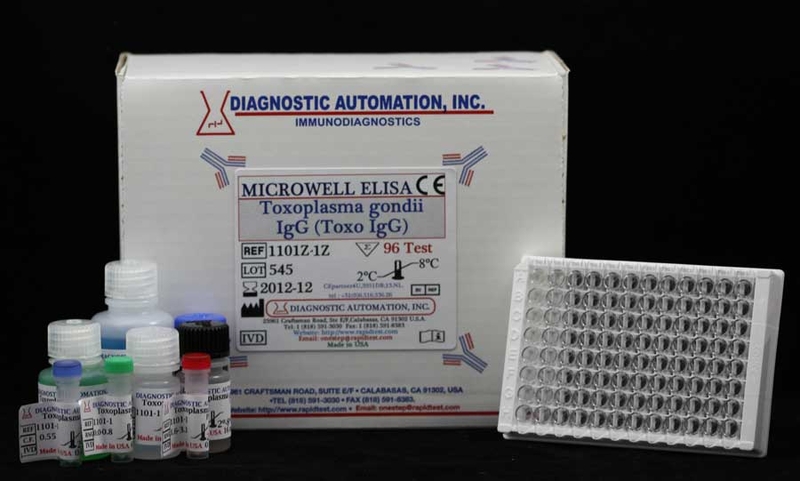 Toxo IgG ELISA kit - Toxoplasma gondii ELISA | FDA-CE | 818-5913030-USA. 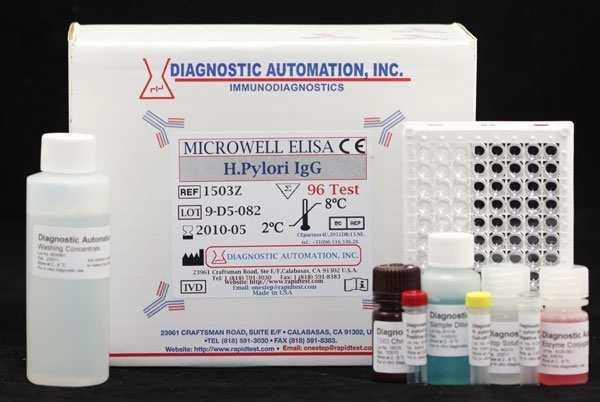 The Diagnostic Automation Toxoplasma gondii (Toxo) IgG ELISA test is intended for the detection and quantitative determination of IgG antibody to Toxoplasma gondii in human sera. Purified Toxoplasma gondii antigen is coated on the surface of microwells. 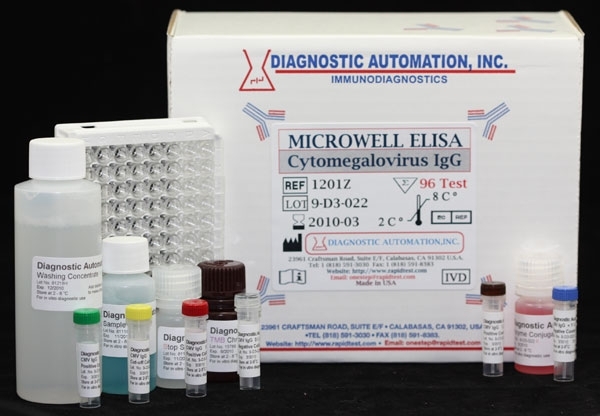 Diluted patient serum is added to wells, and the Toxoplasma gondii IgG specific antibody, if present, binds to the antigen. All unbound materials are washed away. After adding enzyme conjugate, it binds to the antibodyantigen complex. Excess enzyme conjugate is washed off and TMB Chromogenic substrate is added. The enzyme conjugate catalytic reaction is stopped at a specific time. 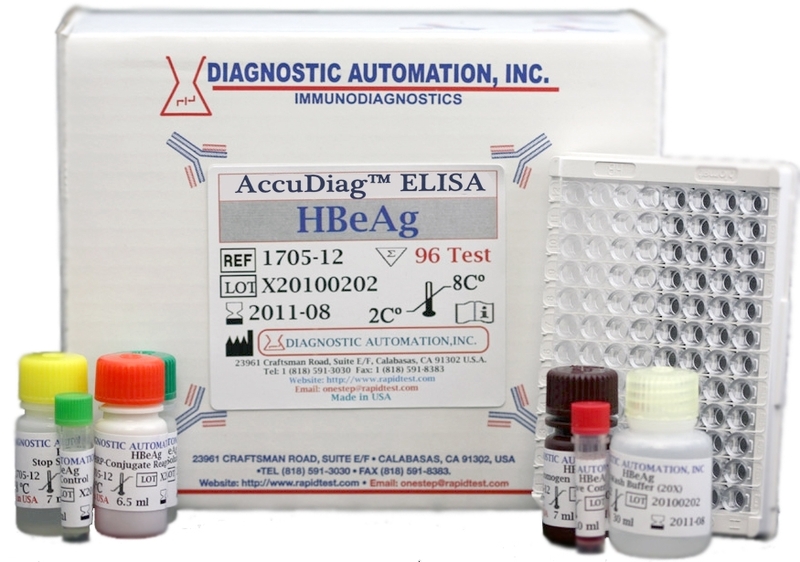 The intensity of the color generated is proportional to the amount of IgG specific antibody in the sample. The results are read by a microwell reader compared in a parallel manner with calibrator and controls. 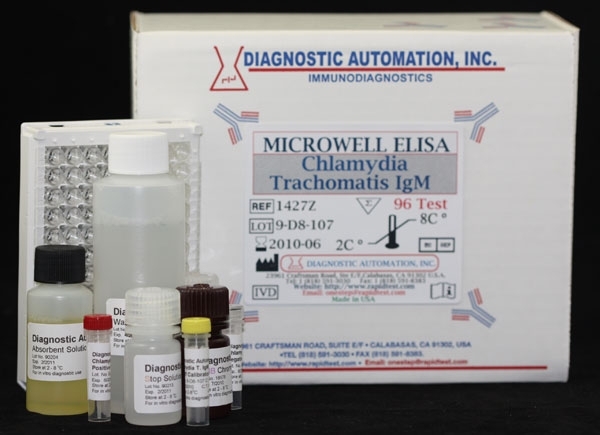 Precautions were taken in the manufacture of this product to protect the reagents from contamination and bacteriostatic agents have been added to the liquid reagents. 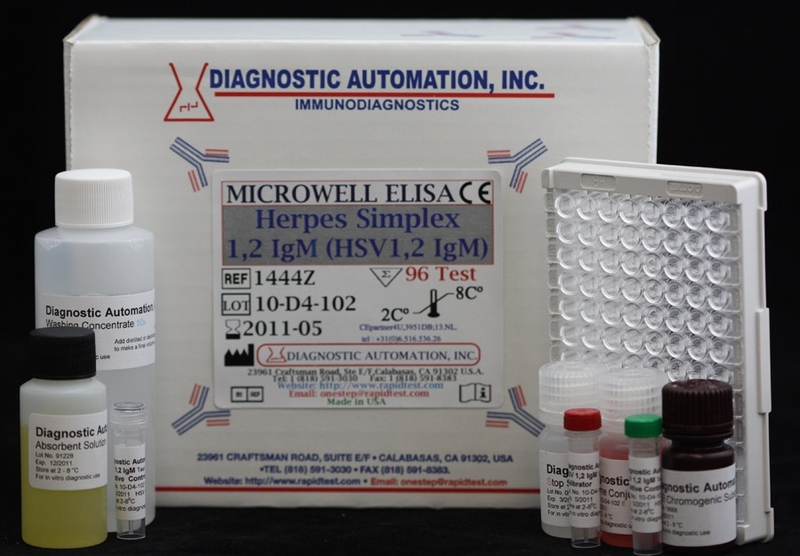 Care should be exercised to protect the reagents in this kit from contamination.